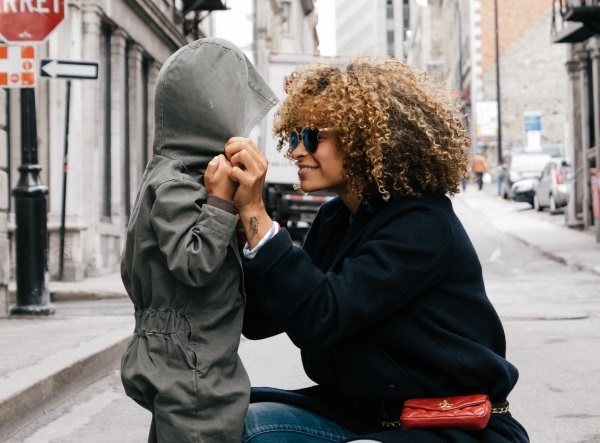 Teachable Moments: Are you taking advantage of them? While bordering on unappropriateness, it is a song that has been sung by children for many generations around Halloween because of its catchy lyrics and simple sing-song melody. Obviously proud of the new song he learned and the elementary-level humor, he repeated it several times. But it was the comment he made after singing the song that spurred a conversation. This, here, is a teachable moment, friends. “Is this song pure, lovely, praiseworthy?” I asked him. “No,” he replied. And then we discussed the importance of monitoring what we put in our minds. 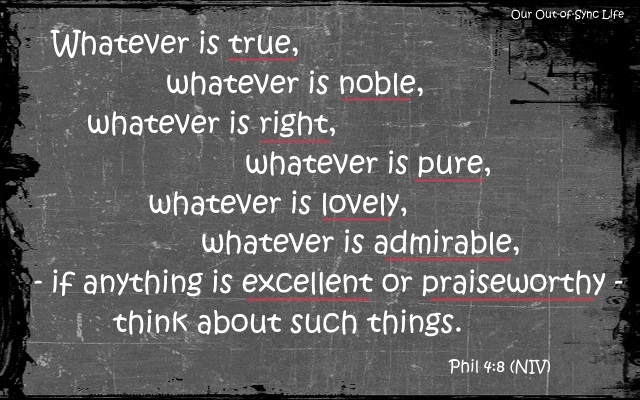 If we put ideas in that are true, noble, right, pure… we will dwell on excellent and praiseworthy things. Then we will sing and say such things. If we put the opposite in, then negative, lies, and yucky thoughts will be spinning in our heads and our words will follow the same tone. Oh wait…that is based on a Bible verse too. In the scheme of things, he didn’t do anything horrible. He was simply singing a catchy tune. But not tying his comment to a truth of the Scripture would have been a major error on my part. I would have failed to capitalize on a God-given, teachable moment. This is just one example of using moments in our day to point our children to the truth of the Bible to guide them to the heart of the issue. I promise if you begin to look, you will see thousands more. 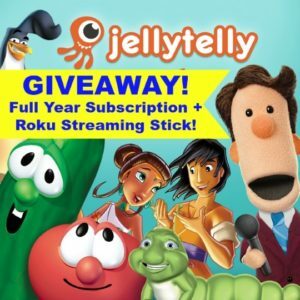 JellyTelly is an avenue to teach our children the truth of the Bible. Have you entered to win this amazing giveaway?